Israel has deployed missiles in the Haifa area near the Syrian border, a move that the Tel Aviv regime claims is "routine." 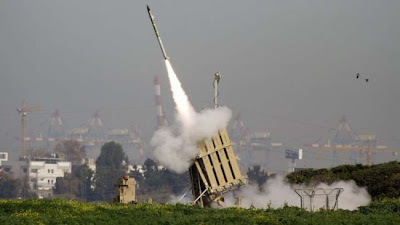 On Sunday, an Israeli Army spokesman confirmed reports that two “Iron Dome” missile batteries were moved to the Haifa area. The official, however, insisted that the move is not due to any specific security situation but part of a routine of rotating these missile systems. The deployment came after NATO’s first Patriot missile batteries on the Turkish border with Syria became operational on Saturday. The six missile batteries are being deployed in the southeastern cities of Gaziantep, Kahramanmaras, and Adana. The US and Germany will provide two Patriot batteries and 400 troopers each to man the missiles. The Netherlands will also dispatch 360 forces and the other two batteries. Each Patriot battery has an average of 12 missile launchers. Meanwhile, Israeli Vice Prime Minister Silvan Shalom on Sunday threatened Syria with military strikes if Damascus uses chemical weapons against the foreign-backed militants. In December 2012, Syrian Ambassador to the UN, Bashar Ja’afari said in letters to the UN Security Council and UN Secretary-General Ban Ki-moon that the foreign-backed militants could use chemical weapons against Syrians and try to shift the blame to the government. Damascus is "genuinely worried" that Syria’s enemies could provide chemical weapons to armed groups "and then claim they had been used by the Syrian government," Ja’afari stated. Syria has been experiencing unrest since March 2011. Damascus says outlaws, saboteurs, and armed terrorists are the driving factor behind the unrest and deadly violence. The Syrian government has said that the chaos is being orchestrated from outside the country, and that a very large number of the militants operating in the country are foreign nationals.